McDonald’s Singapore Creates Craze for Nanoblocks: Yeah Yes or Nah No? 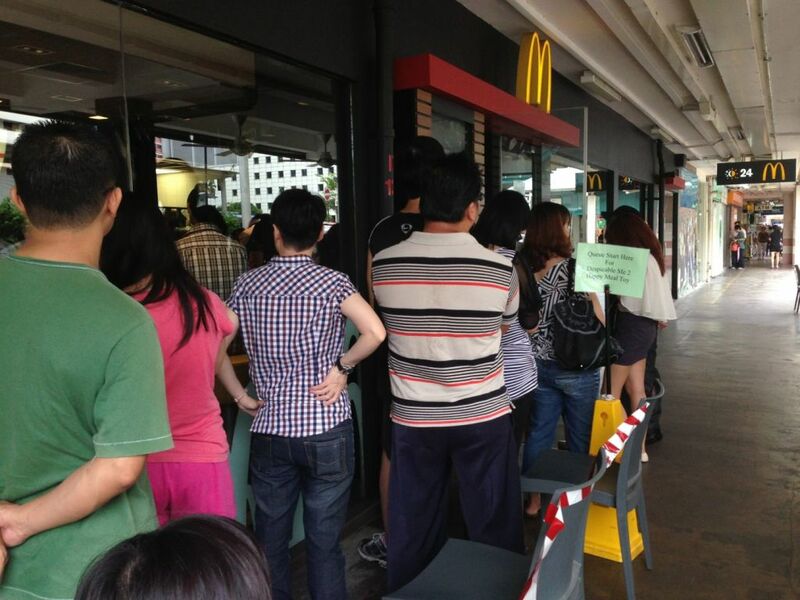 In a strange mid-week news update, McDonald’s Singapore decided to release exclusive Nanoblocks toys to 100 fans who 1) Turned up at Bugis Junction on Wednesday (17 Feb) at 12pm and 2) Purchased a food item off the “McDonald’s Treats” menu. The Nanoblocks collection will be familiar to those who stalk Malaysia and Hong Kong fast food news. They are part of the McDonald’s Food Icons x Nanoblocks series, and Singapore is the third country in Asia to launch the toys. Collector kits also are available, which includes a special box to house the chain’s appetizing superstars: Big Mac, French Fries, Oreo McFlurry, Apple Pie, McCafe Premium Roast Coffee, and the popular Coca Cola. 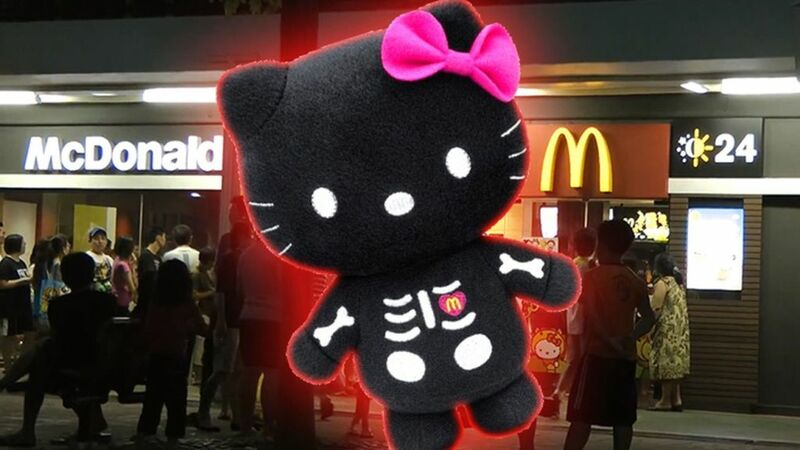 When the news first surfaced on McDonald’s Facebook, no doubt many thought (fondly) to the times where we queued and queued (and queued) for the Hello Kitty plush toys. Also, the “Despicable Me” minions. And Hello Kitty again. Hello Kitty. Hello Kitty. We asked around, and a student reading for a Business diploma broke down the empirical value of this venture for us. If a Hello Kitty toy went for $80 at that time, then the markup would be around 1240%. Taking in even the cost and the time, the business model is definitely highly lucrative, but absolutely not scalable. It’s quick and unethical money. The impact of consumerism in our culture creates a bubble where we are constantly chasing the in-between experience, the suspended moment when we are on the lookout for the next thing to buy after buying something. It is very Singaporean to spend a full day at the malls, loading up on purchases, maxing out credit cards. It is also very Singaporean to wander from mall to mall, looking around aimlessly at things that shout at us to possess them, and at the end of it, never really feeling the need to buy things anymore because you simply have too many things. You don’t really need anything anymore, so instead, you search for things that you want in order to simulate the same rush. Because we love to buy and buy so much, we are always on the lookout for the next best deal. Cue in the Hello Kitties and Star Wars figurines. We join the queues to be part of this exclusive group that is defined by their passion towards the characters, and we define the passion by buying. Limited edition? No problem, turn to the black market and get your fix from there. And while all these things are happening on the surface, at the very bottom lies a child who really wants a Hello Kitty toy to join her fifth birthday party. Can she afford to pay $80? The idea of toys (albeit a genre already heavily exploited by capitalist corporations) getting further darkened by a pool of adults waiting to pounce on the next craze for a quick buck makes my stomach turn. It makes true fans disillusioned, while turning the rest of the audience into cynical observers, ever-ready to comment, but staying a distance from the guilty crowd and heat. I’ll end this off with two separate incidents that hopefully illustrate the gist of this article. When I shared the news of McDonald’s Nanoblocks hitting the shores of our country with my friends a few days ago, almost everyone groaned and complained about the queues. The same queues that had yet to form. Their awareness became punctuated with disgust for the imaginary queues. Their interest was almost immediately waned by the hype. Even this girl, who I know is obsessed with Legos and block-building toys, responded simply, “No. Confirm a lot of people.” Exploitation consumes any type of sincerity. In December, I took a month-long trip to Korea with my partner. She is a huge fan of Star Wars and we joined the queue for the toys after our duty-free purchases. Halfway, I stood aside, watching the line grow, when a big Caucasian man approached me. He asked me about the event and after I explained to him the semantics of it, he gave me $6 and asked if I could get it for him as gift to his grandson. I was about to say I had no more receipts, when this other stranger abruptly stopped in front of us, probably overhearing our conversation, and passed us his receipt. When I finally got the toy for the man, he was so happy that he teared. I cannot express in words the exact feeling of that moment when the stranger just passed the receipt over with a smile, or when I passed the toy to the man, but it rose up from the stomach, warm and long, like a virtue long forgotten and uncommon in today’s society. I think, we should be searching for this.